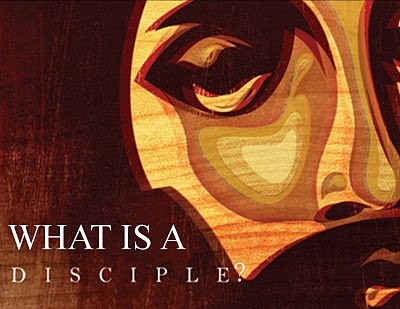 RonnieChristian.com: What Is a Disciple? The commonly held view today is that a person becomes a believer at salvation; then becomes a disciple later, when he moves past faith to obedience. Consequently we see salvation as some kind of lower-level experience, and discipleship as being like extra credit for higher-level believers. While we do recognize that there are different levels of 'spiritual maturity' among true believers, Jesus and His apostles made no distinction between being saved and being a disciple. They made no distinction between salvation and discipleship – it was a synonymous term. The invitation to salvation is always a call to be a disciple. The fact is, every true Christian IS a disciple of Jesus. The word disciple is used consistently to describe believers in the book of Acts, and any distinction between the two words is purely artificial. However, the problem is this: Modern Christianity has separated the two terms, which has given birth to easy-believism that ignores (or disposes of) the hard demands of Jesus. Ergo, not everyone who calls themselves a believer is a believer. They merely profess Christ while their life bears no evidience of salvation. This lack of fruit is then explained as being “only saved” but not yet a disciple. This is false because Jesus clearly stated that one of the evidences of being a follower/believer/disciple (whatever term you want to use) was being fruitful (John 15:8). When Jesus called followers, He always instructed them about the cost of following Him right up front. His invitation to salvation was never easy-believism. Halfhearted people who were not willing to make the commitment did not respond. Thus He turned away anyone who was reluctant to pay the price or meet His terms. Therefore, they were not Christians because they were not willing to be His disciples. A Christian is not someone who merely gets “fire insurance” tacked-on to their life because they prayed some superstitious prayer. A true believer is one whose faith expresses itself in a life of submission and obedience. Jesus had great disdain for the short-term disciple. i.e., The person who started but would not finish. The half-built tower. That’s why He made things so difficult for people right up front… to thin the ranks of people with insincere commitment. The idea of daily self-denial does not jibe very well with today’s supposition that believing in Jesus is a momentary decision only. The bumper-sticker sentiment of “Give Jesus a Try” is a mentality that is completely foreign to real discipleship and real Christianity. 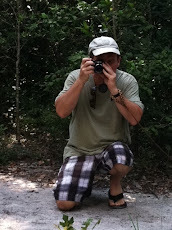 Faith is not an experiment; it’s a lifelong commitment. A true believer is one who signs up for life! It calls for painful severing of ties with the world, burning your bridges, sealing the escape hatches, and ridding yourself of any kind of fall-back plan in case the journey gets too difficult. True believers know they are going forward with JC until death. Having put their hand to the plow, they do not look back. This is the stuff discipleship because it’s what a true Christian is.